Steve has been involved and highly successful for numerous years at all levels of soccer coaching, including the U.S. Soccer’s Youth National team player development system where he has had the opportunity to coach or mentor numerous state, regional and national championship teams. Steve has tutored numerous players who themselves have won national youth, collegiate, Major League Soccer and W-League championships. Many of these players earning spots on our men’s and women’s national-team rosters and represented the US in World Cups competitions. As well, has served as a Presenter since 2016 at the annual United Soccer Association’s National Convention. 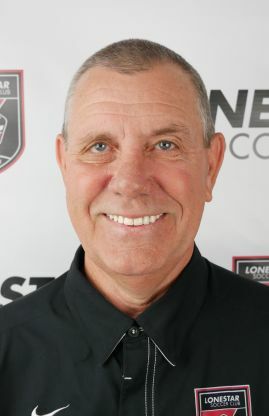 Since 2011 Steve has served as an Executive Director of Coaching for the Lonestar Soccer Club. He started out as the Executive Director of Recreation overseeing the base of the club's pyramid serving 2000+ players and since 2015 has taken on the role of Director of College Placement. Using his Collegiate Coaching, University Admission Counselor, Athletic Director and Executive Director of Coaching experiences he has helped place 1200+ male and female student-athletes into collegiate soccer programs at every level of play. He has a wealth of experience and connectivity to the college placement process that benefits all players and their families wishing to play collegiate soccer. Prior to that here in South Texas, Steve served as the South Director of Coaching for Lonestar SC in 2010-11 and as the Director of Coaching for the Austin United Capital Soccer Club (2008-10) where he was instrumental in helping to lead the successful merger between the Lonestar SC & the AU Capitals. Before coming to Texas he served as the Director of Soccer for the Greensboro Youth Soccer (2004-2008) and Director of Coaching for the Greensboro SC (1998-2003). All this after a well decorated 20 year collegiate coaching career.